I grew up on the south east coast of Australia in an idyllic world of practical simplicity. 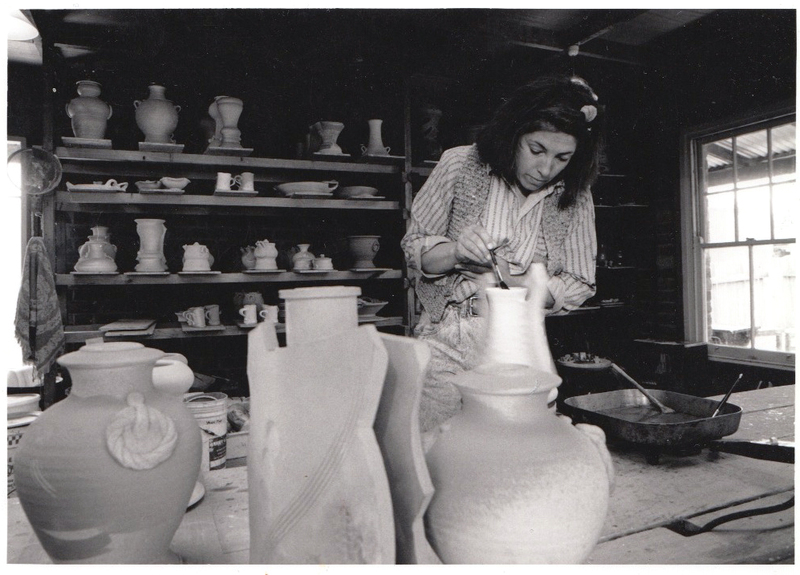 My parents were both ceramicists; we built a solar powered home with kilns out the back, ate from the garden, ran to the river in bare feet. In the 90's my mother retrained in the traditional craft of sign writing and I've been assisting her on public signage and murals since I was 9 years old. In pure childish pleasure, I've always maintained that a satisfactory day meant getting my hands dirty. Whether that's with clay, charcoal, ink, paint or dirt. Going on to study graphic design and digital media, I maintained this hands on approach utilising traditional drawing and printmaking techniques at every opportunity. In 2012 I stepped back from computers to embrace the traditional process of creating typography by hand. The pursuit of traditional sign writing dictated my 20's and I shifted with the seasons - living in Austin, Vancouver, Canberra, Melbourne, Queenstown... At times just on the road with my camera and my brush kit, searching for a mentor while documenting the old masters. The last two years of large scale signage and mural commissions have allowed me to pass my skills on, while teaching workshops and public speaking. I've hand picked a skilled team of freelances for assistance, and these days I extend myself beyond sign writer and designer; into roles like creative director and brand consultant. I enjoy working closely with the story behind the brief, finding outside-of-the-box solutions for this unique form of tactile design communication. My days serve as a dedication to creativity. Whether painting murals and signage on site, designing from my computer or progressing a new art series for an upcoming art show, I still relish the days I can get my hands dirty and wake grateful for my client's who allow me such a magnitude of creative freedom while designing to a brief.